In relation to a dispute arising out of this website you the user and Strongroom Self Storage Limited agree to submit exclusively to the jurisdiction of the courts of England and Wales. Except where expressly stated to the contrary the text and graphics in the information contained in this website is the copyright of Strongroom Self Storage Limited. 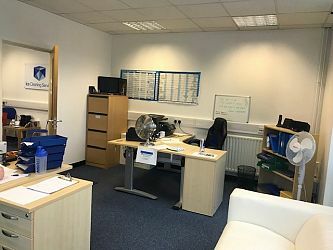 This notice explains how information about you is collected and used this website is operated by Strongroom Self Storage Ltd.
Strongroom Self Storage Ltd are a 'data controller' for the purposes of the Data Protection Act 1998. This means we are responsible for, and control the processing of, your personal information. The person responsible for how we handle personal information is Clare Broomfield, clare@strongroomstorage.co.uk. receive on his/her behalf any data protection notices; and • give consent to the transfer of his/her personal data abroad. Children We do not knowingly collect personal data relating to children under the age of . If you are a parent or guardian of a child under the age of  and think that we may have information relating to that child, please contact us at clare@strongroomstorage.co.uk. We will ask you to prove your relationship to the child but if you do so you may (subject to applicable law) request access to and deletion of that child’s personal data. We would like to send you information by post, email, telephone, text message (SMS) about products and services, competitions and special offers which may be of interest to you. If you have consented to such receive marketing from us, you can opt out at any time. See 'What rights do you have?’ below for further information.